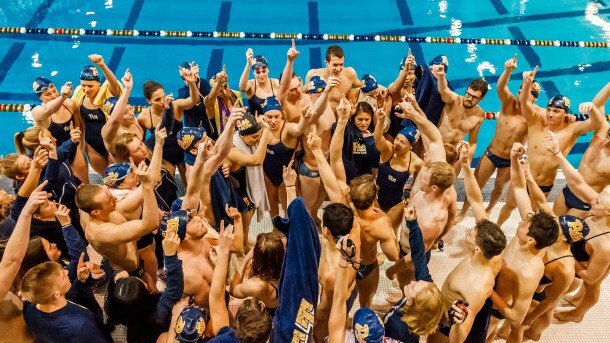 Pitt swimming & diving proudly announces 11 recent commitments as head coach John Hargis and his Panthers’ coaching staff have received official signing paperwork from some of the best prospects and transfers in pools from around the country and abroad. Two of these signees—UNLV transfer Boris Kulizhnikov and South African freshman Eben Vorster—have already joined the Panthers as mid-year roster additions, while the rest of the group will begin competing for Pitt at the beginning of the 2017-18 campaign. A USA Swimming Scholastic All-American, Bartel will join the Panthers for the 2017-18 season. Hailing from near the Fresno area, Bartel set the California Central Section division records in winning the 200 IM (2:02.38) and 100 back (55.08) last May, while also setting the 100 free regional record (50.60) in her high school’s 400 free relay at the meet. After developing through the famed Indiana diving system, Childress will become Pitt’s latest talented diving addition from the Hoosier State. An experienced competitive diver already, Childress recently competed at the USA Diving AT&T National Championships in Columbus, which was the latest in a long line of national, regional and statewide events that the Indianapolis area native has competed in. Originally a native of Canada, Fauteux will join the Panthers next fall as a junior college transfer from Indian River State College in Florida after earning NJCAA All-American honors with the prestigious program last spring. 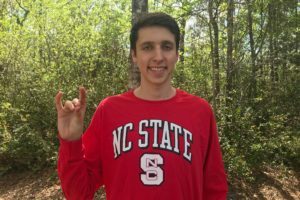 Fauteux advanced to the finals of four events—the 50 free, 100 free, 200 free and 100 breast—as a freshman at the 2016 NJCAA Championships, earning three silver medals and a bronze. He will look to help Indiana River win another NJCAA team title in 2017 before joining the Panthers ahead of the 2017-18 campaign. Ranked the No. 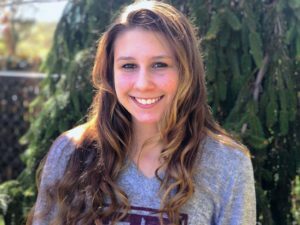 3 recruit from the state of Virginia and a top-100 prospect nationally by CollegeSwimming.com, Gwennap will come to Pitt next fall as a tremendous addition to the program—both in the pool and in the classroom. A 2016 USA Swimming Scholastic All-American, Gwenapp is capable of posting great times in several freestyle events, as well as in the IM, fly and back. 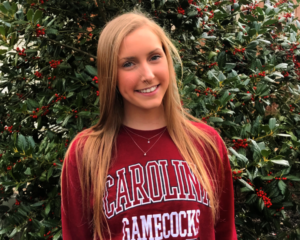 She has won the Virginia High School 6A state title in the 200 IM and has also excelled at club meets, including three top-10 finishes at the 2016 NCSA Summer Swimming Championships. A top-10 finisher in the 50 free and 100 back at the Pennsylvania 3A State Championships last spring, Hollenbach commits to Pitt as one of the top in-state prospects this year. A 2016 USA Swimming Scholastic All-American, Hollenbach also qualified for states in the 50 free and 100 free as a sophomore and freshman for Lower Dauphin and will look to finish her prep career with a strong showing at this year’s Pennsylvania state meet. Kulizhnikov has joined the Panthers already as the reigning Western Athletic Conference champion in the 200 breast, which he won in a would-be Pitt school record time of 1:56.20 last February. Kulizhnikov is competing at Pitt now as a junior as he looks to add to his already impressive collegiate résumé with hopes of competing at ACCs and NCAAs this spring. He attended high school at St. Petersburg KOR #1 in the northern Russian city. Another diving recruit from the state of Indiana, Marble placed third on 1-meter at the 2016 Indiana state meet last spring. The Fort Wayne native has also competed at numerous regional and national meets over the last few years on 1M and 3M, consistently proving himself as a peer among the nation’s top prep divers. A local product from Pine-Richland High School just north of Pittsburgh, Schonbachler commits to the Panthers as a freestyle distance swimmer also capable of contributing in the butterfly and possibly other events. Schonbachler qualified for last spring’s PIAA state championships in the 200 and 500 free, while his best times in the 1650 free and other events have made him a standout swimmer at the high school and club levels in his prep career. A talented freestyle sprinter from the state of Michigan, Swantek is the fourth women’s swimmer to commit to Pitt for the recruiting class of 2017. Swantek recently finished fourth at the Michigan Division 3 State Championships in both the 50 and 100 free, helping lead Marian to a second-place team finish. CollegeSwimming.com’s top-ranked 2017 recruit from the state of Mississippi and a top-100 swimmer nationally, Vera is another highly touted commit in Coach Hargis’ first full recruiting class at Pitt. Vera’s credentials include multiple state titles in the 50 free and 100 free along with numerous top finishes at national events such as the Speedo Junior Nationals, the U.S. Open and the United States Olympic Trials. An international addition that has joined the Panthers already as a freshman mid-year enrollee, Vorster has experience swimming at the South African Olympic Trials, FINA World Short Course Championships, the South African National Championships and other prestigious events in his homeland and around the world as a versatile swimmer capable of excelling in the freestyle, butterfly and IM. He was recently named the ACC Swimmer of the Week after his perfect Pitt debut that included individual wins in the 100 fly, 200 fly and 200 IM against rival West Virginia. News courtesy of Pitt Athletics.